This entry was posted on February 9, 2018 by Adam S.
America's passion for great grills has created a healthy competition for high quality grills—the only issue is deciding which one is best for you. We receive questions everyday from customers like you who want to know the ins and outs of our favorite grills so we've put this list together of our favorite built in gas grills and some detail as to why it shows up on the list. A new comer in America, Napoleon (Wolf Steel) has been crafting high quality products for decades in Canada and their grills carry that legacy. With the Prestige 500 Series, you get all of the high end grill features without the high end cost. Stainless steel tube burners with Napoleon's distinct stainless steel "Wave" grill grates offer professional style sear marks while the included infrared rotisserie burner and side infrared sear zone allow plenty of outdoor cooking options for even the most diverse of BBQ enthusiasts—and it's all backed by the President's limited lifetime warranty. 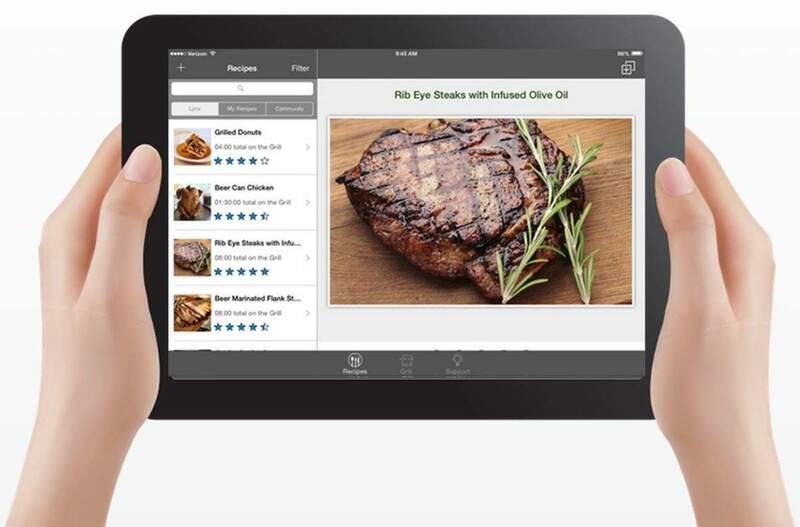 The construction quality from Lynx is inferior to no grill, but the real driving force behind this grill is the one of a kind SmartApp and integrated electro-mechanical control valves that allow the most advanced and user-friendly grilling experience. The grill features a 1.5Ghz Intel® Processor that features 64GB of storage and is configured with 802.11N Wi-Fi in order to communicate with your iOS or Android device. 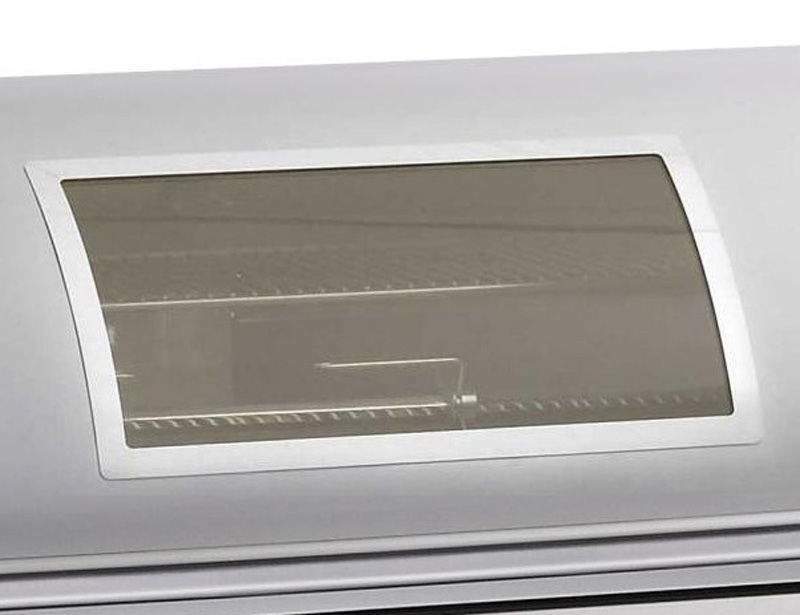 But don't think this grill's all flash—it's backed with (3) 23,000 BTU Trident ProSear2™ infrared burners that sit below heavy duty 304 stainless steel grill grates to create a professional style grilling surface. 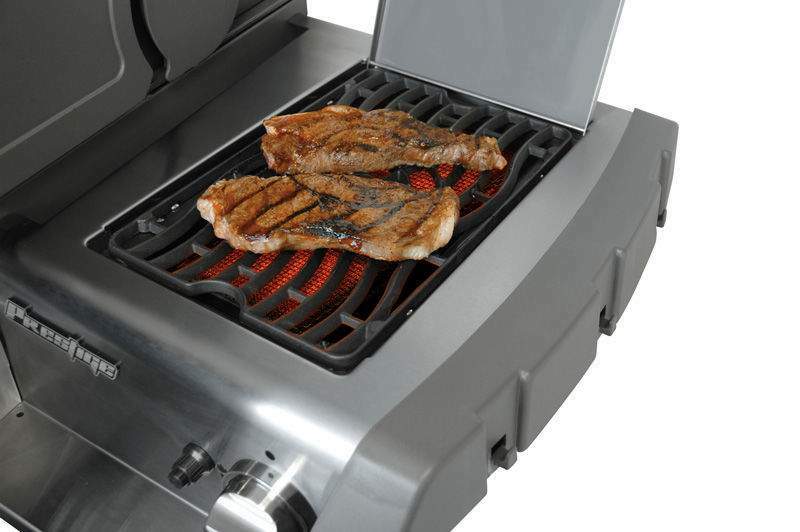 With other stylish features like the built in halogen lights, backlit control knobs, and the spring-assisted hood, this grill is luxury in BBQ form. Designed with the profile of high end homes in mind, Twin Eagles grills are skillfully crafted to exude style and beauty in addition to being one of the most advanced gas grills on the market. 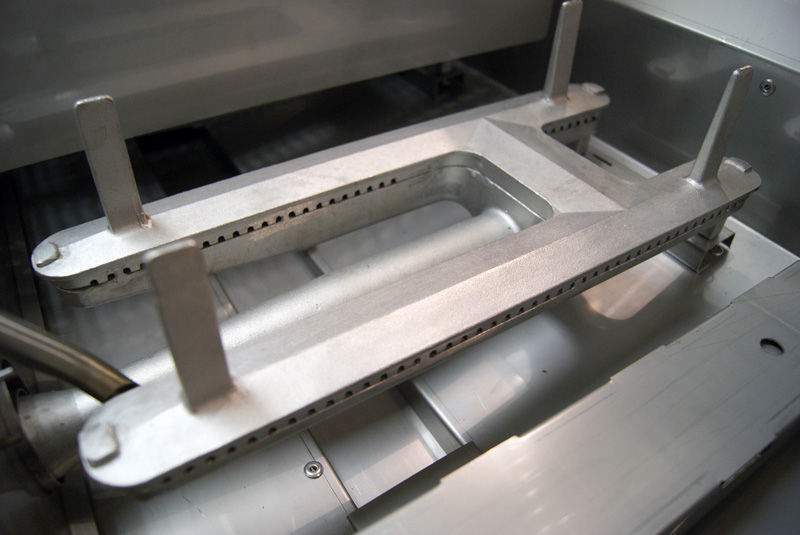 Each grill features a contemporary blend of geometric shapes, contoured angles, seamless welds, and high-polished accents for a truly unique work art. But they don't stop there, Twin Eagles grills are designed with superior performance at their core. 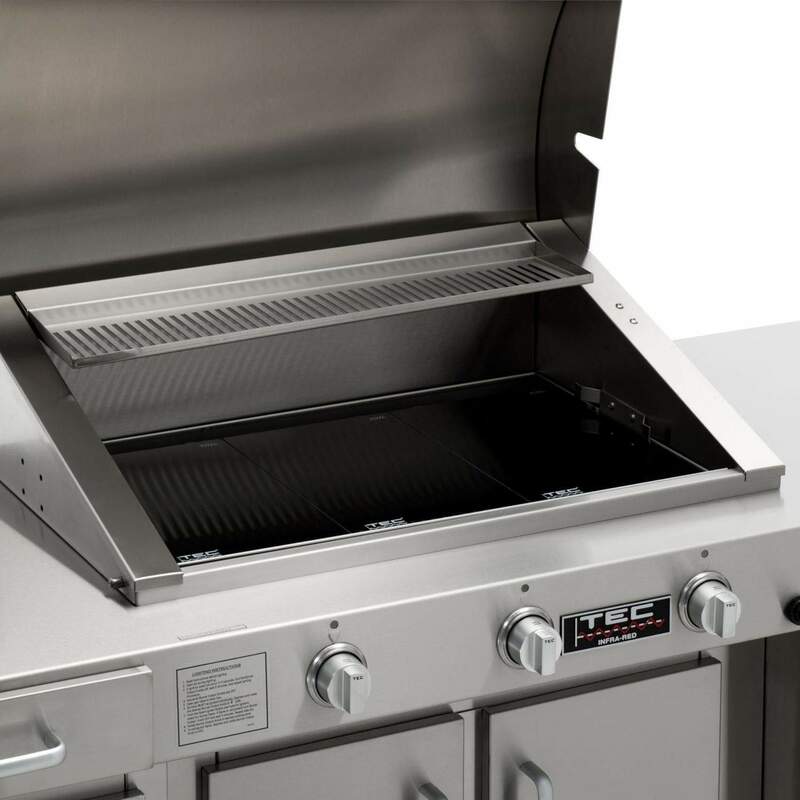 With heavy gauge stainless steel burners rated for 25,000 BTU each, unique ceramic briquette trays placed above the burners to simulate charcoal cooking, and the thick hexagonal grill grates, each Twin Eagles grill will perform like a luxury sports car. RH Peterson has been creating the world's most advanced gas grills for nearly a century and their Echelon Series gas grills embody their highest vision of what luxury grilling can offer. 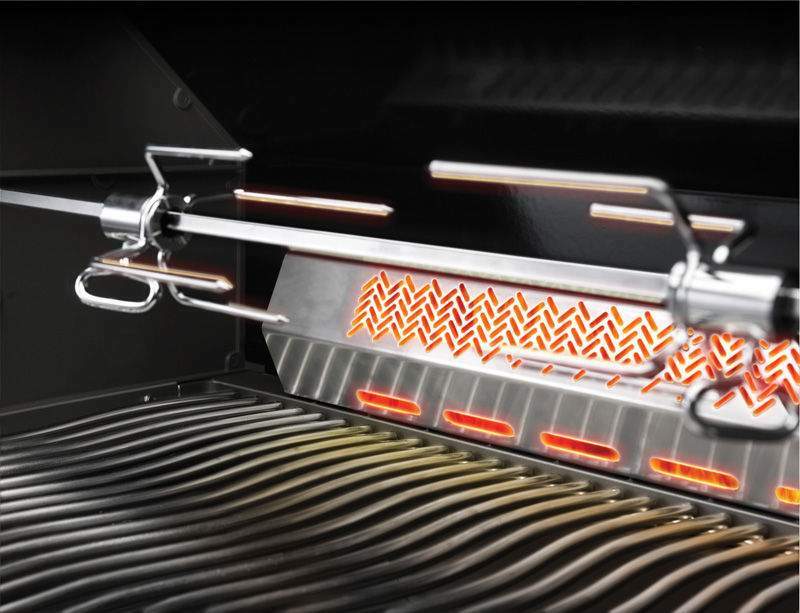 At the heart of each Echelon grill rests the unique E shaped burners made from cast stainless steel and each rated for up to a whopping 28,750 BTU for superior heat output and professional-style grilling. 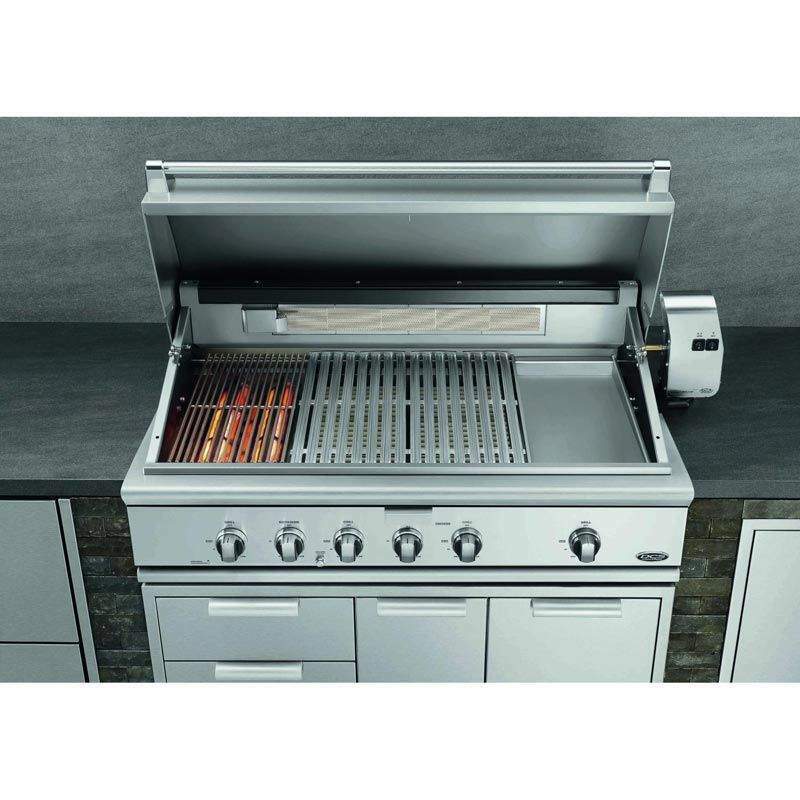 Beyond the superior construction, Fire Magic's Echelon Series grills feature some of the most unique bells and whistles like the Magic View Window, integrated Digital Grill Thermometer, backlit LED control knobs, interior halogen lights, a built in wood chip smoker, and the robust side power burner—a truly stunning grill. 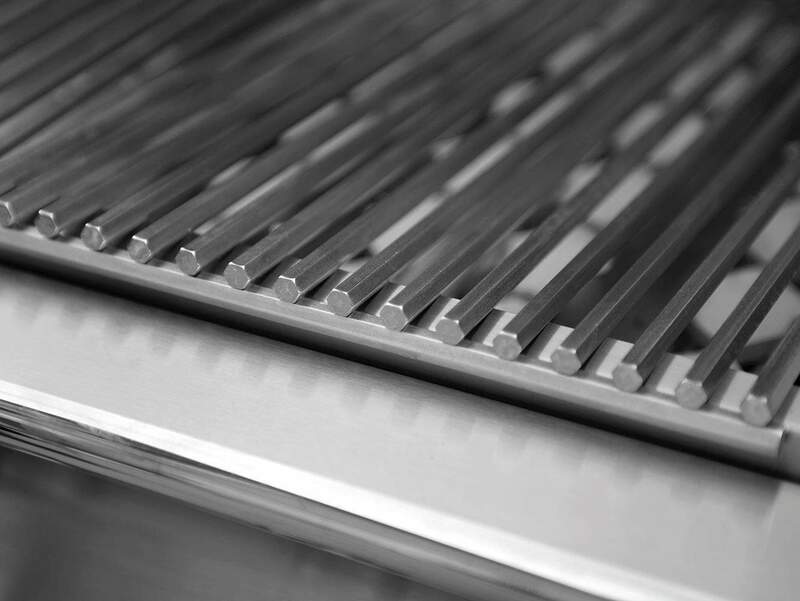 For those focused on maximum heat output, don't look past the Alturi Series grills from Summerset. 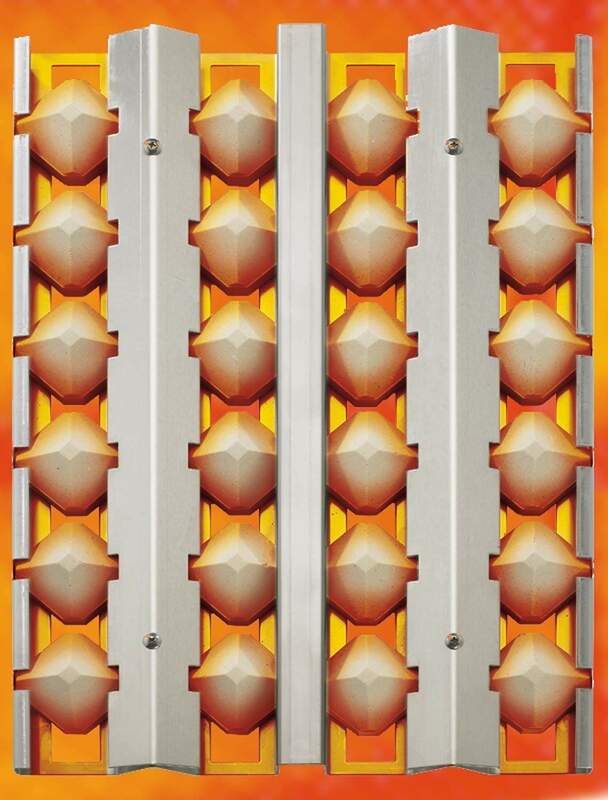 Centered around the distinctive cast red brass burners, each rated for a robust 26,000 BTU, each Alturi Series grill can throw out some serious heat. 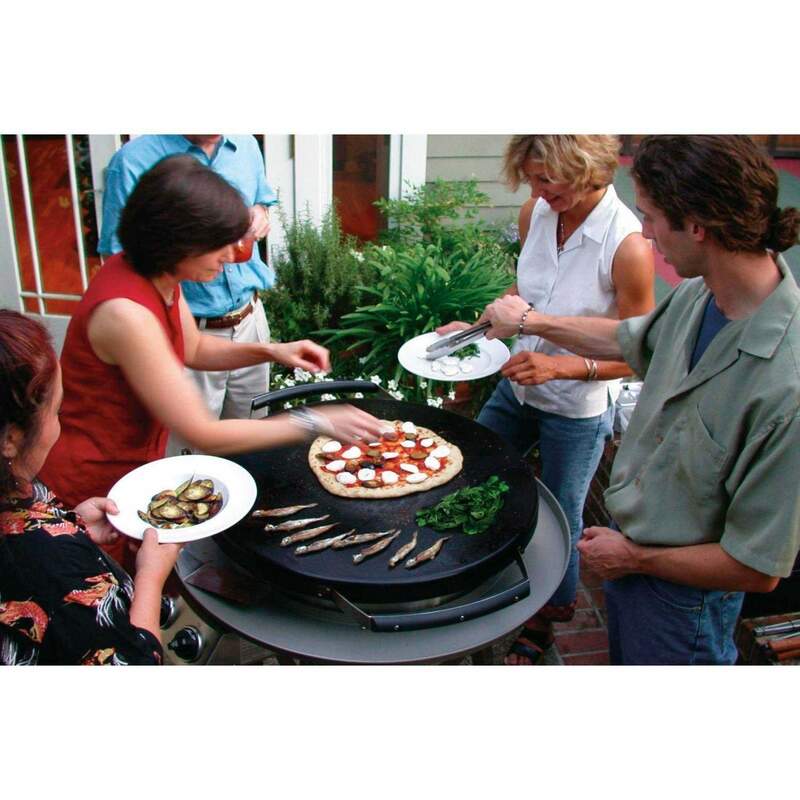 By using a unique material like brass, Summerset has guaranteed each burner will last a lifetime as covered by their unlimited lifetime warranty—brass naturally holds up better to the elements than inferior materials and can produce consistent high temperatures for maximum BBQ ability. 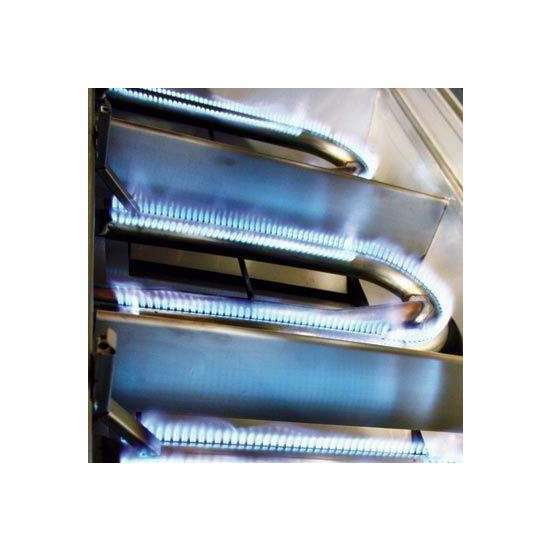 TEC invented and held the exclusive patent on the infrared grill burner for over 20 years and though their patent has expired, their innovation towards infrared grill technology has not diminished. 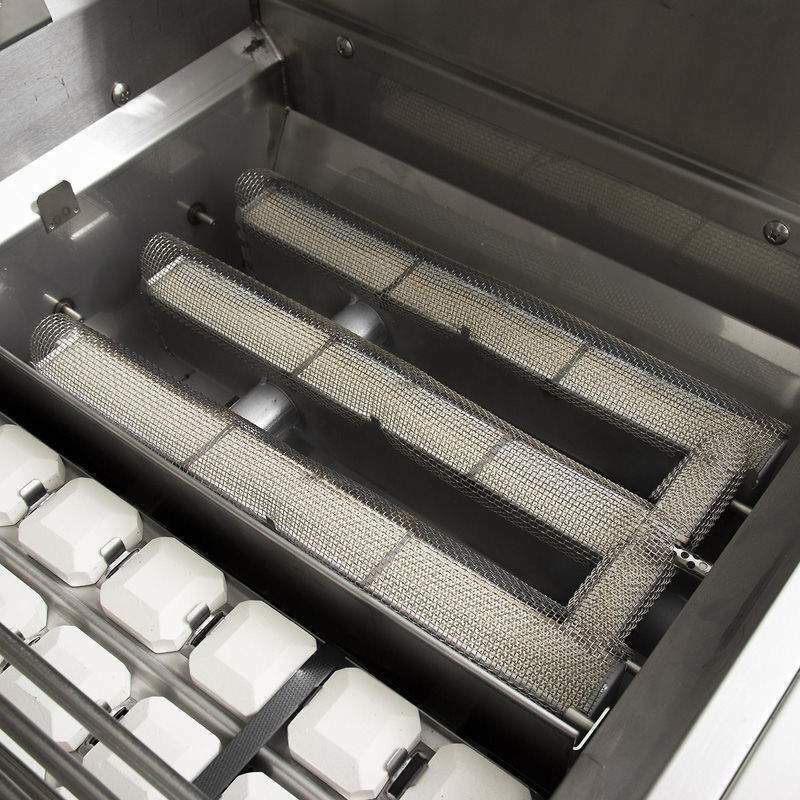 Each TEC grill features a unique radiant glass panel that sits in between the infrared burner and the specially designed grill grates in order to provide consistent high (or low!) grilling temperatures. The radiant glass panel keeps temperatures steady from front to back and side to side across the entire grill surface so there's no hot & cold zones on these grills. In addition, infrared grilling uses nearly half the gas of traditional gas grills and keeps your food moist as you grill—a true star in the BBQ world. A subsidiary of appliance giant Fisher & Paykal, DCS is now at the forefront of cooking appliances with the professional cook in mind—which means amateur chefs can get the most out of their grills. Featuring (3) distinct grilling zones, this DCS grill provides superior grilling versatility to allow unmatched cooking capabilities. 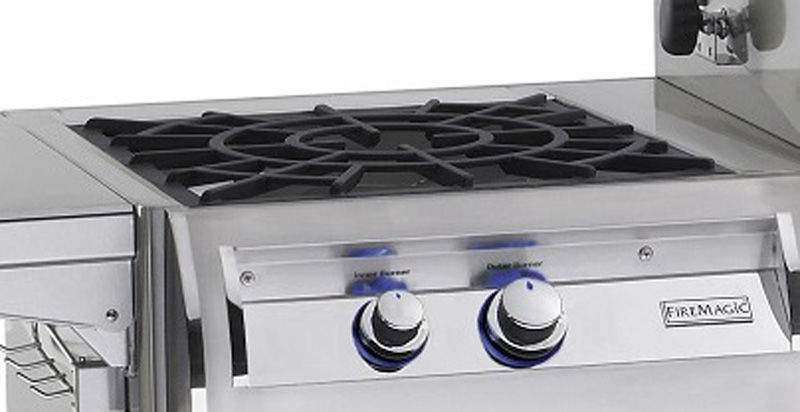 From left to right a Hybrid Infrared Burner offers serious searing power, stainless steel gas grill burners in the middle combine with reversible grill grates above to offer traditional grilling, and finally the integrated stainless steel griddle allow your favorite items like pancakes, bacon, eggs and more to be cooked right next to your steaks and chops. Perhaps the most stunning grill on the market, the American Muscle Grill is modeled after the 1969 Shelby GT 350 Mustang to embody the beauty of American muscle. The sleek design features grill knobs with LED lights familiar with the car itself. This grill doesn't stop with its looks, though, it also combines a unique dual fuel setup to allow both gas and natural charcoal/wood to offer one of the most versatile grills on the market - now you can enjoy the convenience of gas with the unmistakable flavor of charcoal. 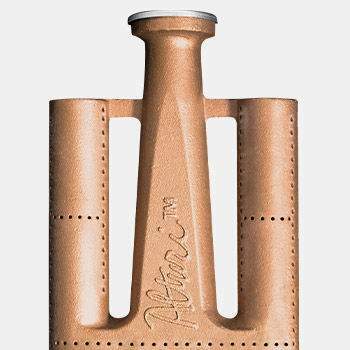 The heavy gauge stainless steel construction not only ensures a long lasting and durable design, but will stand up to the high temperatures produced by wood and charcoal. If you're looking to cook outside the box, er grill, the Evo Professional Series Grill will make you the envy of any BBQ enthusiast. Designed like a professional hibachi grill or your favorite diner's flat cooktop, this grill will have you cooking like a professional in no time—sear your steaks, chops, chicken, and fish for a restaurant style crust or griddle your hamburgers just like classic diners. If you're more of a breakfast person, pancakes, eggs, bacon and more become crowd favorites using this unique cooktop. The wealth of high end grills on the market offer plenty of options to ensure that everyone can find the best grill to suit their needs but it can also cause a problem for barbecue lovers—which grill is the best grill? Hopefully our picks will help lead you to the BBQ grill of your dreams and you'll be the toast of your neighbors and friends in no time.